The Libyan Ambassador to the United Arab Emirates, in an exclusive interview, warned that the Islamic State (ISIS, ISIL) has consolidated control over coastal territory in northern Libya that can serve as a platform for terrorist attacks on Europe. In an exclusive interview with David Webb, a Breitbart News contributor and SiriusXM Patriot channel talk show host, Libyan Diplomat Dr. Aref Nayed, warned that ISIS in Libya has consolidated its grip on the city of Sirte, located on the Libyan northern coast nearly an hour away from Europe by plane. “The situation is that they have consolidated their control on Sirte — it’s a major city that’s about an hour and 15 minutes by plane from Italy,” responded Dr. Nayed, who also serves as a senior adviser to the prime minister of Libya. ISIS controls the airport in that city, added the Libyan diplomat. “If they continue to hold on to Sirte, it’s extremely dangerous. This is in the middle of the coast of Libya, very close to Europe, and it has logistical capacity to be a real platform of terror on the Mediterranean,” he continued. 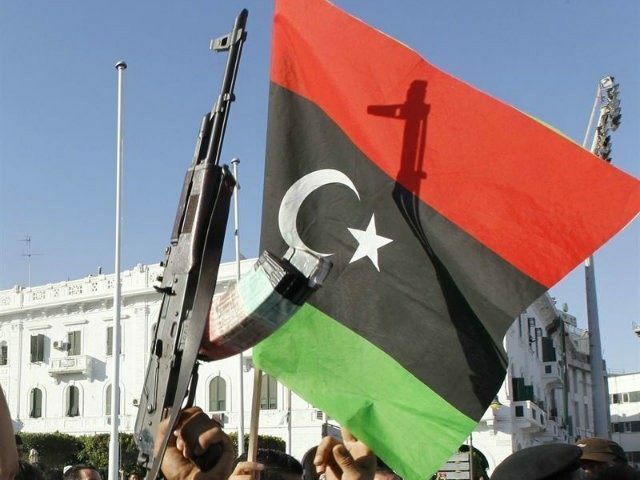 The Libyan ambassador also said that ISIS has enhanced its control over the Libyan capital of Tripoli, which also sits on the country’s northern coast across from mainland Europe. “They have also began to extend their control over Tripoli, the capital. They’ve already set up some checkpoints and those checkpoints are still unchallenged by the so called Libya bound militias in Tripoli and the reason they’re unchallenged is because they are actually complicit in the rise of ISIS,” said Nayed. The interview will air in its entirety tonight on the SiriusXM Patriot channel at 9 p.m. ET. Dr. Nayed noted the elected Libyan government has been urging their compatriots to stand up against ISIS. “We’re telling them that there’s an existential either-or right now. You have to make a choice. Are you for the state of Libya or are your for the so-called state of ISIS and if you’re for the state of Libya, you need to fight ISIS,” said Dr. Nayed. “We cannot have as part of any future government neither members of these extremist nor their apologists, nor quite frankly people who continue to cover up for them and deny their crimes,” he added. ISIS, which controls swaths of Iraq and Syria, has expanded to Libya. As ISIS gains control of territory in Libya, Italy is preparing for war against the jihadist group.